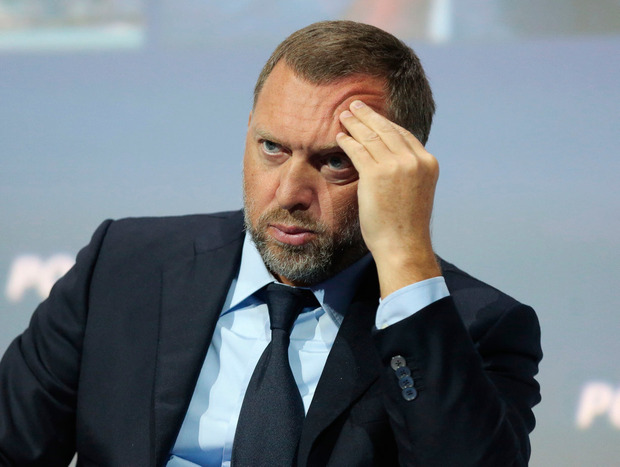 A deal that convinced the US to lift sanctions on companies linked to Oleg Deripaska may have helped restore order to the global aluminium market, but it's left the Russian billionaire himself increasingly isolated. Executives and board members at United Co Rusal, which owns Aughinish Alumina in County Limerick, and parent En+ Group now avoid communicating directly with their biggest shareholder, who remains under personal sanctions, according to people familiar with the matter. Deripaska has been missing from the VIP events he'd previously frequented and even fellow billionaire Vladimir Potanin says his rival's absence is being felt. It's almost a year to the day since the US announced sanctions on Deripaska and his businesses, throwing their operations and the global aluminium market into turmoil. Following almost eight months of talks and furious lobbying, and after Deripaska agreed to reduce his ownership and relinquish control over the companies, the US Treasury removed Rusal and En+ from the restricted list in late January. Since then, Deripaska has remained largely out of sight. He didn't attend President Vladimir Putin's state-of-the nation speech in February and was absent from an annual meeting in March between the president and big business, arranged by the Russian Union of Industrialists and Entrepreneurs. He's likely to skip the St Petersburg economic forum in June again this year, according to people familiar with the matter, who asked not to be identified discussing private matters. Even En+ Chairman Greg Barker, the British lord who spearheaded the lobbying push, says he hasn't spoken to Deripaska since the sanctions were lifted. The tycoon's relationship with the companies is now "very constrained", Barker said at the FT Global Commodities Summit in Lausanne. "If he knew at the very beginning just how far he would have to go by the end, I'd question whether or not he would have started out on the journey," he said. At En+ and Rusal, it's mostly been a return to business as usual, with one glaring difference: employees go out of their way to avoid direct contact with the man who for years controlled both companies, according to people familiar with situation. Most of the top executives at the companies have worked for Deripaska for years - more than a decade in the case of Rusal's management. Yet the stakes of compliance are high, with some US politicians having expressed doubts that the billionaire no longer controls the companies, and there are calls for the sanctions relief to be revisited. En+, Rusal and Deripaska are ensuring that the agreement with OFAC is fully adhered to, a spokeswoman said. Selina Wang Twitter shares jumped the most in almost six months after it topped first-quarter sales projections and reported strong user growth, bolstered by changes that are drawing a wider audience of consumers and advertisers.